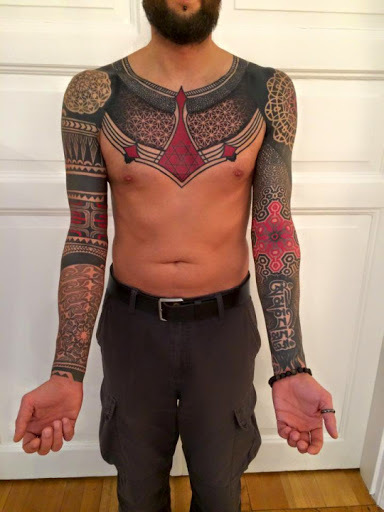 Tattoos is all about placement and good designs. 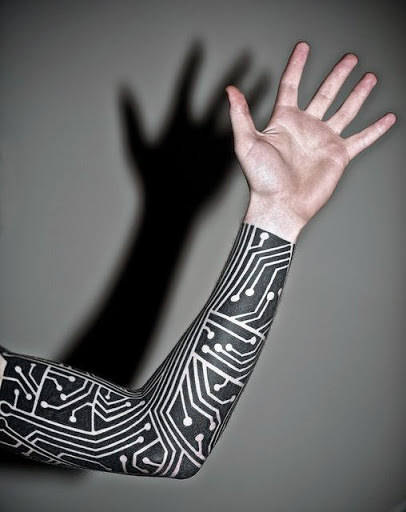 But when we talk about sleeve tattoos, there are many choices and ideas for your sleeves. Like tribal tattoos on sleeve, fonts, quotes, flower, animal, angel, dragons, 3d, or Polynesian or Maori etc designs and ideas available. 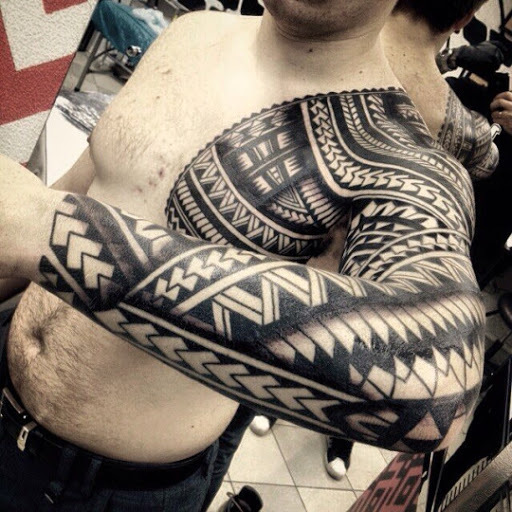 Sleeve tattoos are divided into two parts like full sleeve tattoos and half sleeve tattoos. 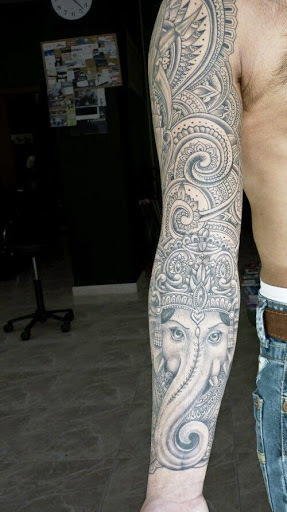 Full sleeve tattoos cover full part of your full arm, It can say that it will cover from shoulder to wrist. Where half sleeve tattoos cover half of arm of a person. It covers from Shoulder to elbow. 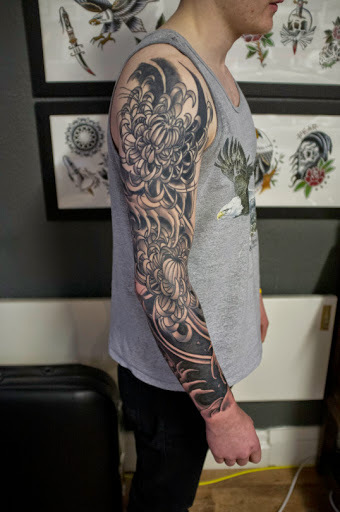 Full Sleeve tattoos are large in size and it will take many long hours of time to complete a tattoo design. This also depends upon the complexity of the design and size and shape. 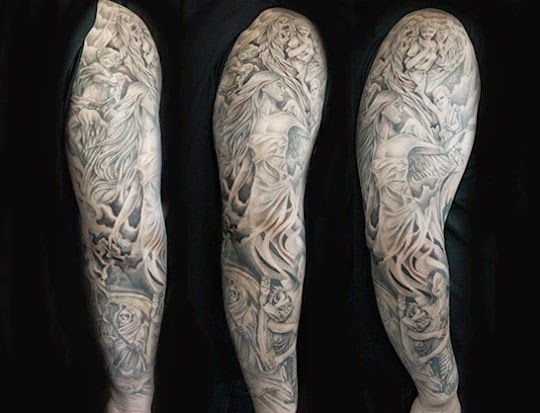 Sleeve tattoos designs are much popular now for people who wants to cover up their bodies with tattoo ink. 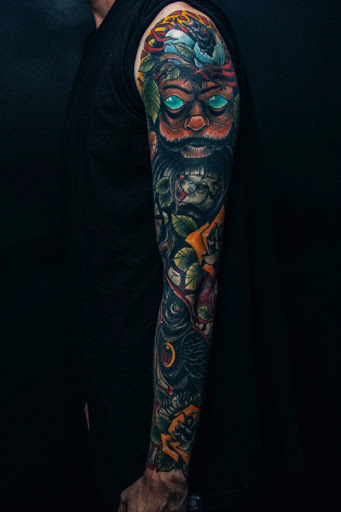 Sleeve tattoos are famous among men and women both. Some women also like ot cover up their full arm with tattoo designs like flowers and watercolor ink. 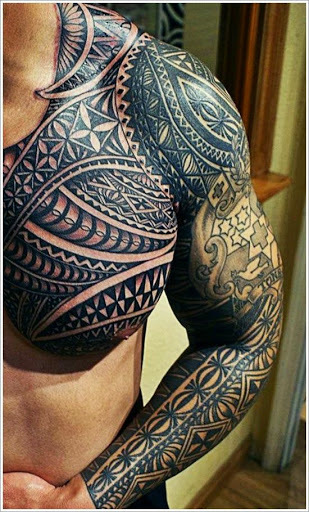 But men likes to have some special designs like tribal tattoos, Polynesian tattoos, Maori tattoo designs and dragons and many more cool designs on their sleeves. 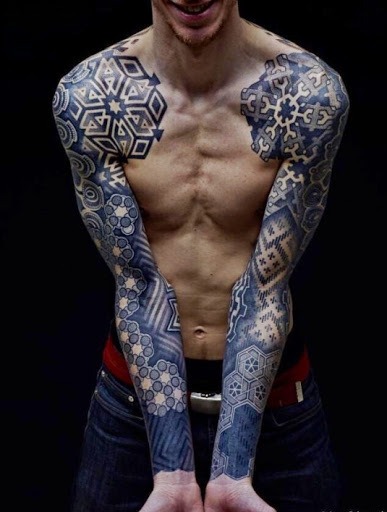 Here we collect best 50 sleeve tattoo designs for men and women both. Which will help you to have a great tattoo idea from these tattoo pictures. 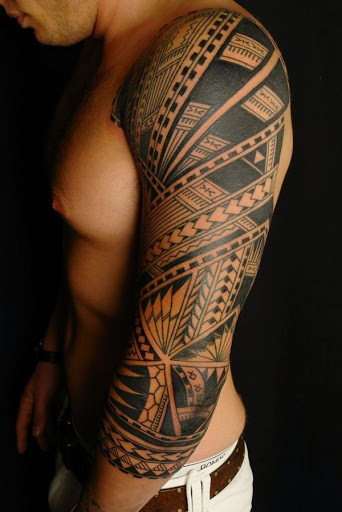 A Polynesian style tattoo design on sleeve which cover full of shoulder and arm. 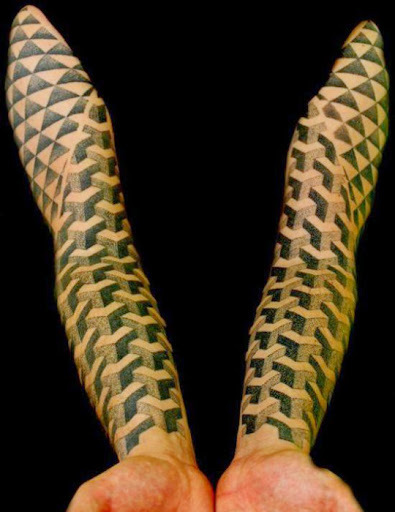 A full arm covered with Polynesian tattoo design. 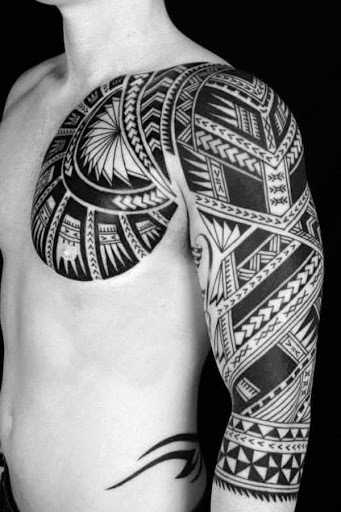 This kinds of designs are the perfect designs for the men for their sleeve. Cool music symbol tattoo design with black and grey ink . 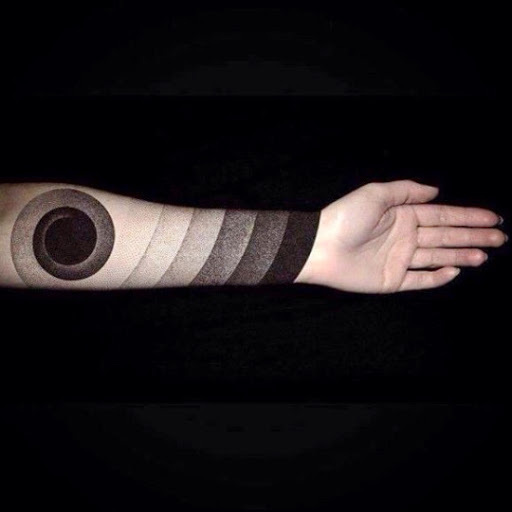 Awesome black and grey Sleeve tattoo design on right arm. 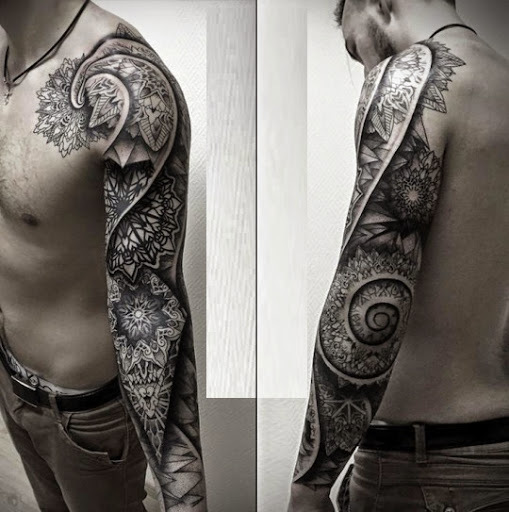 Full Sleeve covered with an amazing style tattoo design for men. 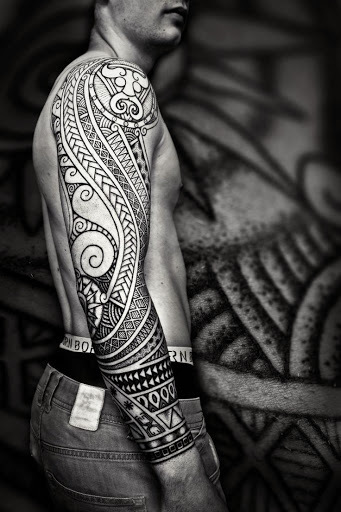 This one is a Maori style tattoo design which covering full sleeve of a man. 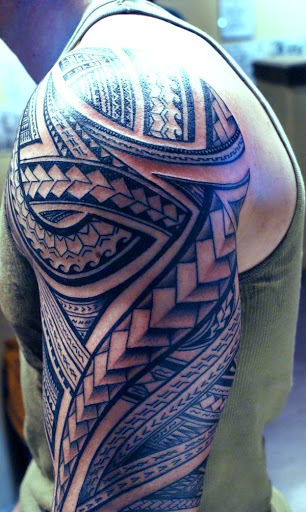 An another master piece of Polynesian tattoo design on sleeve . 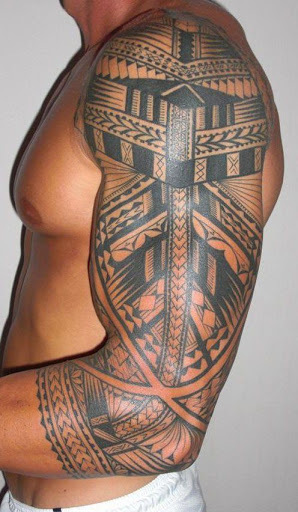 Tribal Polynesian tattoo style on full arm for men . 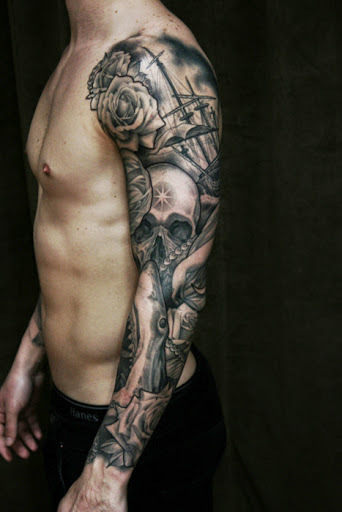 Amazing Sleeve tattoo for men. A Japanese style dragon tattoo design on full sleeve of a man. 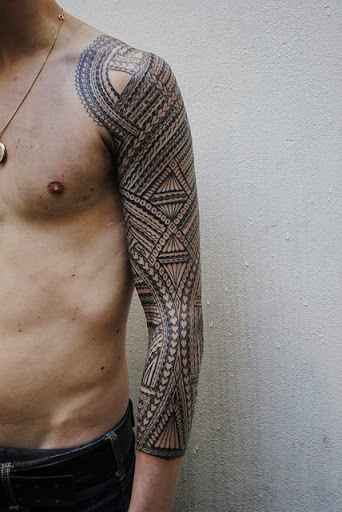 A rock style like tattoo design is much popular among men . 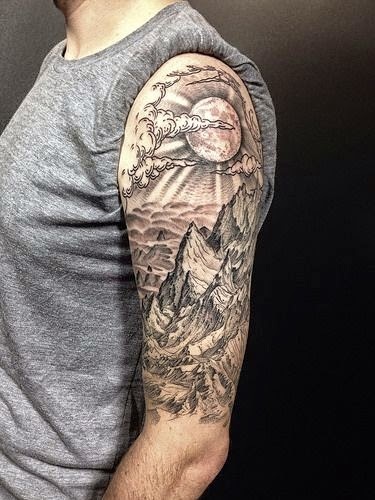 Mountains clouds and sun on the sleeve . 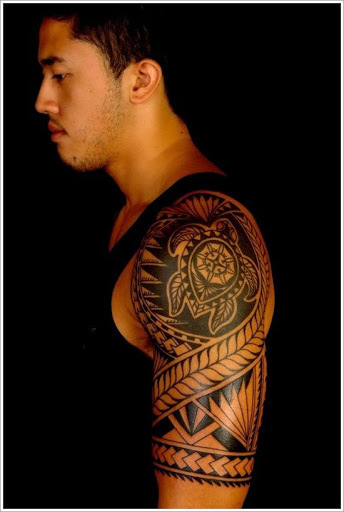 A tribal and Polynesian style tattoo design on Sleeve which also have a tortoise in it. 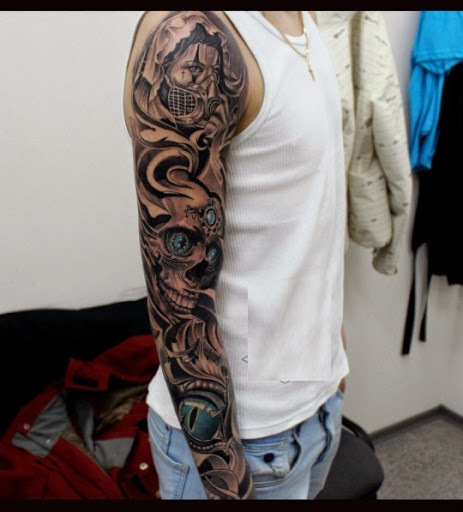 Full arm covered with Sleeve tattoo. 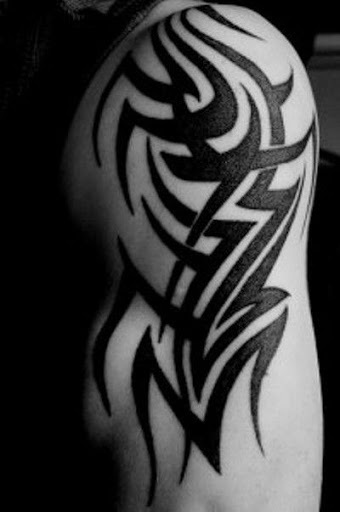 Tribal shape Sleeve tattoo design for men and women. Flower tattoos on sleeve is the best tattoo ideas for girls. A 3d colorful tattoo design of ship, octopus and sea , shark and anchor in it. A flying bird with a beautiful quote and a skull on sleeve. 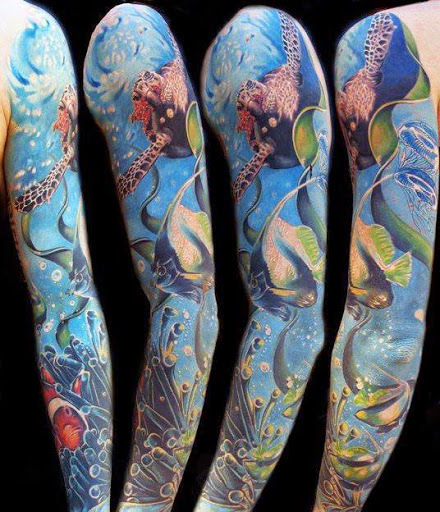 A colorful Sleeve tattoo design for women who wants colorful and sea and its creature tattoo on arm. 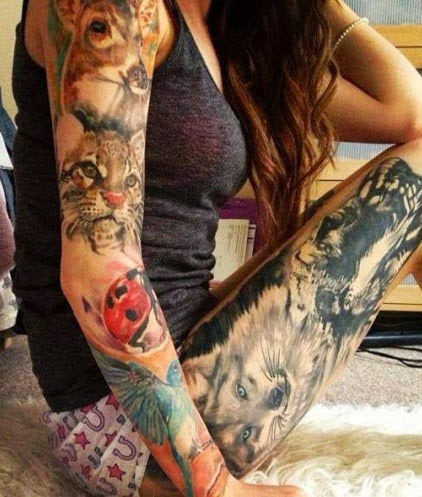 Animals on sleeve is the good ideas for girls and women to cover their full arm with these kinds of designs . A 3d dtyle vampire style Sleeve tattoo ideas for men . 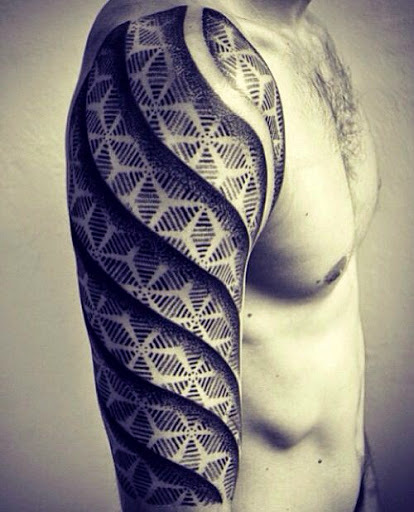 A geometric style tattoo covering full sleeves . 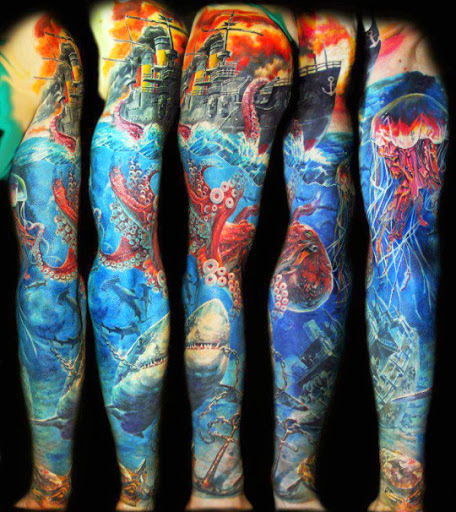 Amazing Sleeve tattoo on both sleeves. 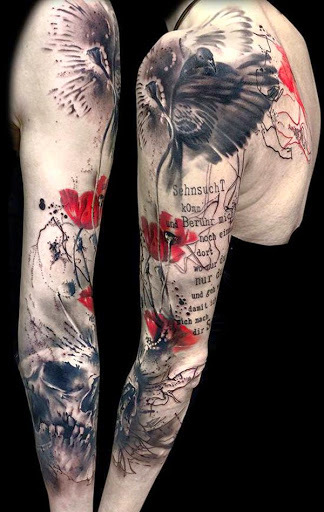 Awesome Sleeve tattoos for men and women. Sugar Sleeve tattoos for girls and guys. 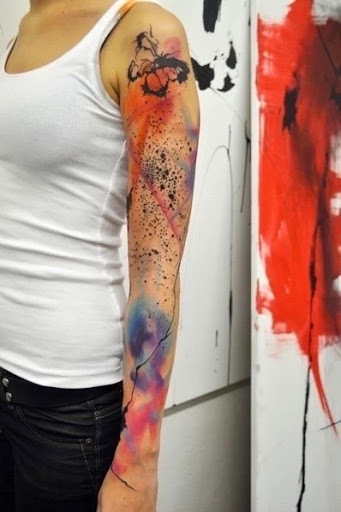 A black ink and colorful Sleeve tattoo design. 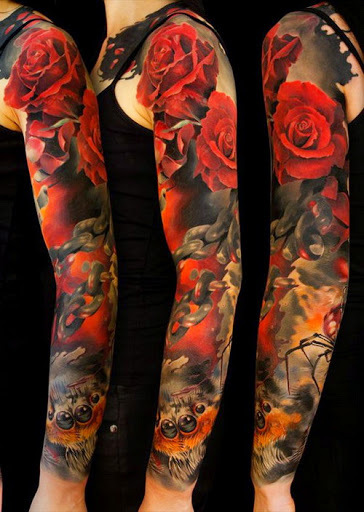 Rose tattoos on full arm is the best tattoo ideas for girls to have this kinds of Sleeve tattoos. 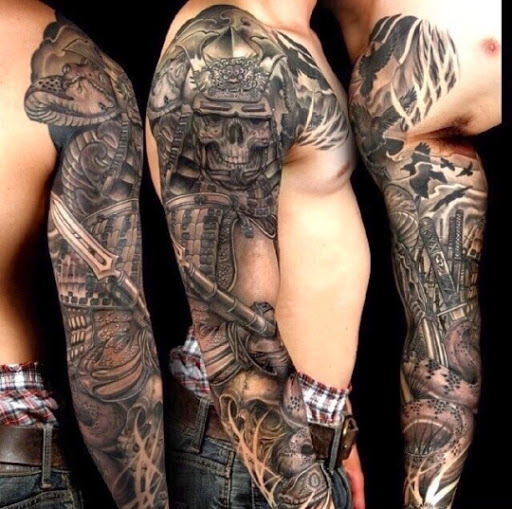 Best Sleeve tattoos for men. 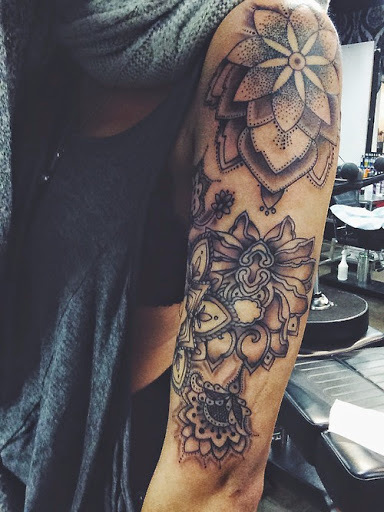 Cute and lovely Sleeve tattoos for girls and women. Flower tattoo designs on Sleeve tattoos. 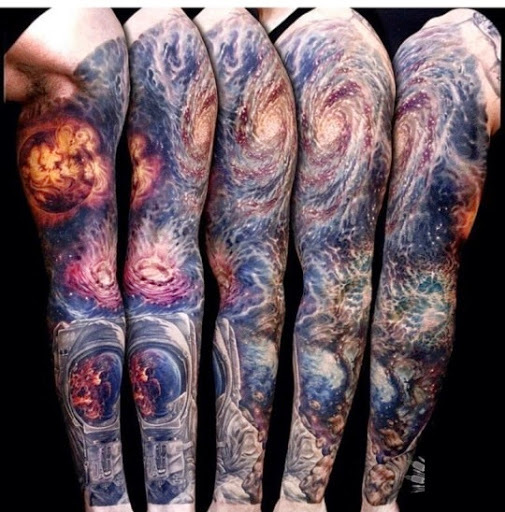 A solar system tattoo ideas for Sleeve tattoos. Both Sleeves covered with amazing tattoos. 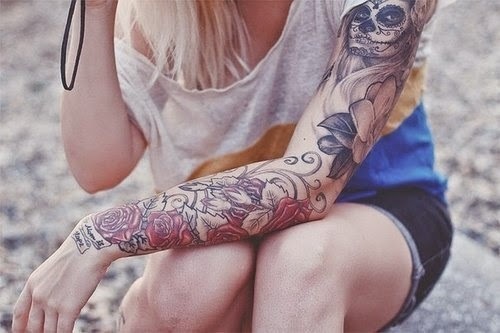 Awesome Sleeve tattoos for girls. A lord of the rings style tattoo design on Sleeve . 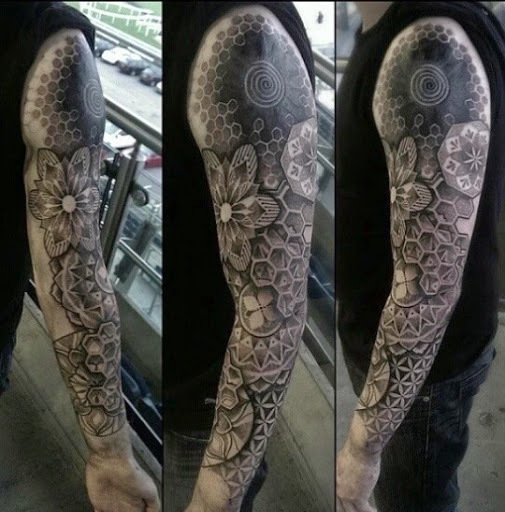 Men also love to have Flower tattoo design for Sleeve tattoos. A watercolor Sleeve tattoos for girl. 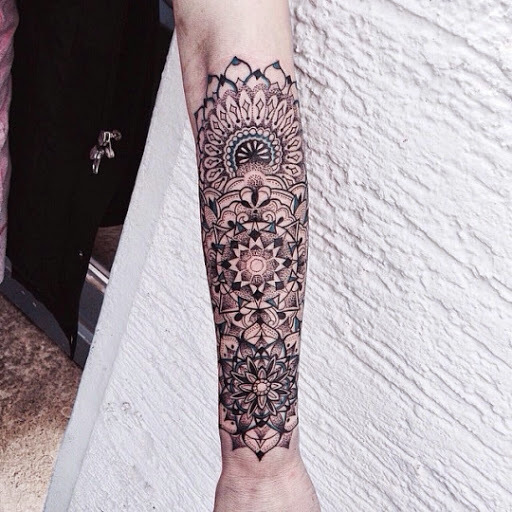 A beautiful tattoo art on quarter sleeve tattoo for girls and guys. 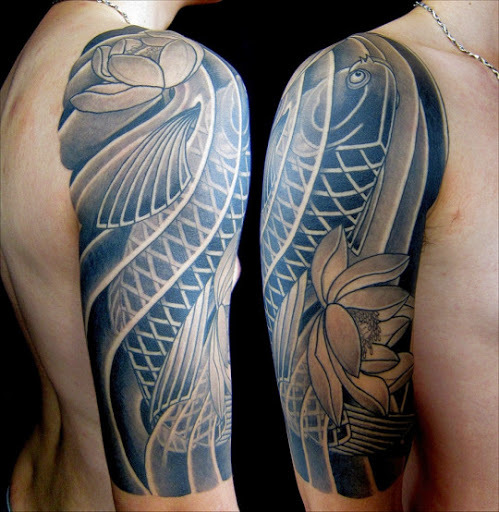 Koi fish tattoo on shoulder is famous for Japanese and Chinese people. 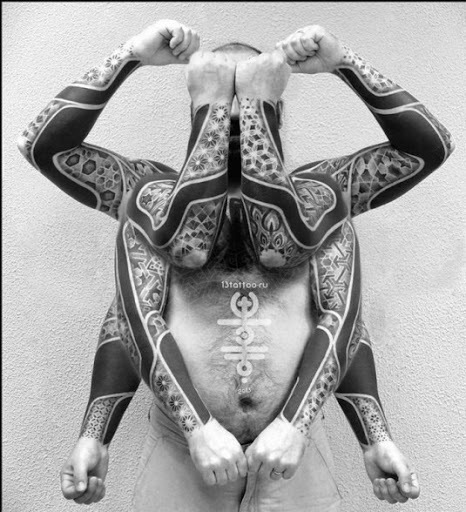 An amazing tattoo art which covering full sleeve of a man. This design can be perfect for both men and women. 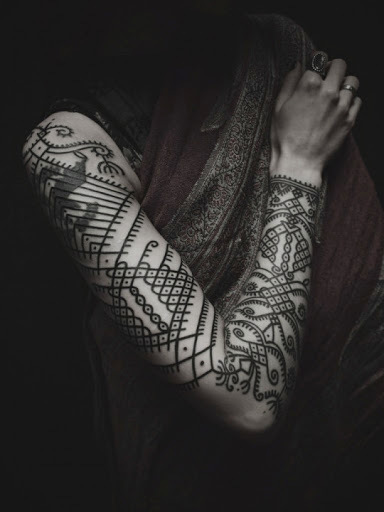 A traditional full Sleeve tattoo design for girls. 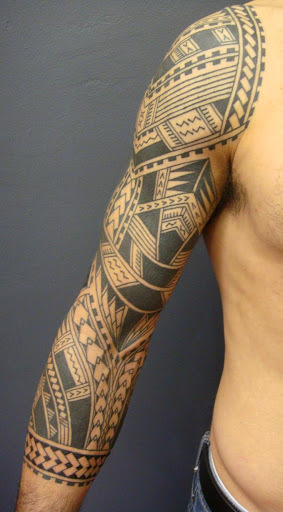 Tribal tattoo idea for Sleeve tattoos for men and women. 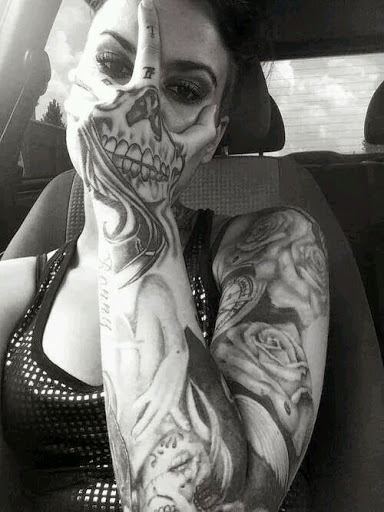 This girl cover her full sleeve with various tattoos like rose, compass, and skull and sugar skull tattoos. Tree leaf tattoo ideas is best to cover up your full sleeve with colorful tattoo ink.